Known as Scotland’s golf coast, East Lothian is just a few miles from Edinburgh. Home to 22 golf courses and 30 miles of stunning coastline it is one of Scotland’s finest golfing destinations. Below are our top picks for golf in East Lothian. The Dirleton has a more traditional links feel to it. Rolling dunes, gorse bushes, and billiard table like greens that host a number of subtle run offs for miscalculated shots. The course can vary in length from 5’500 yds to just under 7’000 yds depending on what tees you wish to play off. Dirleton has hosted top European professional golf. For example, The Ladies Scottish Open, Scottish Senior Open and The Paul Lawrie Matchplay. The Fidra Links, like the Dirleton spans out at nearly 7’000yds. With a selection of tee boxes it is very playable for all levels of golfer. Most of the early holes are particularly defined by towering pine trees down either sides of the fairways. Consequently this can play havoc with wind direction and club selection. After navigating through the woodland area the course really opens out into a more traditional links style of play. The Fidra Links is truly an enjoyable and picturesque place to play golf in East Lothian. Is one of the newer courses to Scotland’s Golf Coast, East Lothian. Even though just opened in 2001, the course has already hosted some huge tournaments. Such as the Scottish Amateur Strokeplay Championship and The Scottish Senior Open, which was won by Gary Orr in 2018. Craigielaw measures at over 6’500 from the back tees and provides a stern test for even the longest hitters. In particular, the many cavernous bunkers and tricky tabletop greens make all players think twice about their shot selections. The club also offers great practice facilities including a grass academy practice ground and driving range. Furthermore there is a 6-hole par 3 course, a short game area and practice putting green – ideal for warming up before your round. 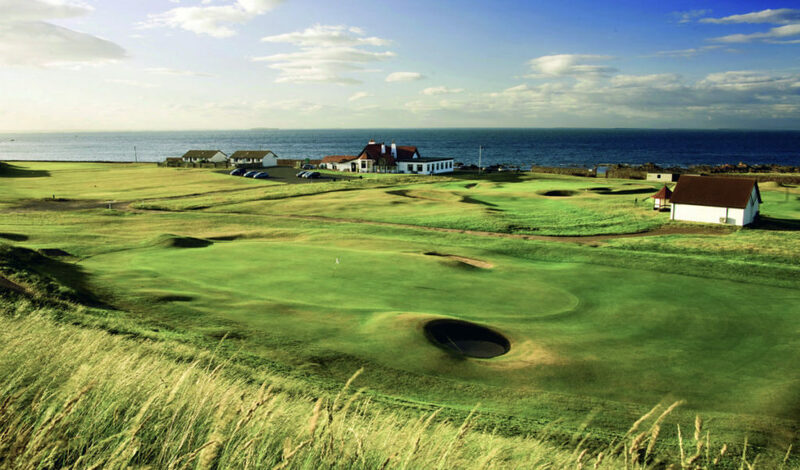 Located 40 minutes from the city of Edinburgh, Dunbar Golf Club was laid out in 1856. Over the years the course has been redesigned by some of the most famous names in Golf, such as Old Tom Morris, Ben Sayers and James Braid to name but a few. The course measure at just over 6’500 yds and has hosted a plethora of national Championships. Most notably it has also hosted qualifying for The Open Championship. This traditional links course hugs the beautiful shores of the Firth of Forth. It’s undulating fairways and subtle greens demand all types of shot making, regardless of your standard of golf. A challenging links course, stunning scenery and a friendly clubhouse – the elements that make a perfect golfing experience. Gullane 3 is the shortest of the courses at a Par 67. In spite of its size this tricky test of golf requires strategy off every tee to negotiate the fantastic bunkering and slick greens. A fun course to play for players of all abilities. Gullane 2 is a par 71, at just shy of 6500 yds it is another excellent test of golf. Designed by the famous Willie Park Jnr it offers some fantastic views of the surrounding nature sanctuary. 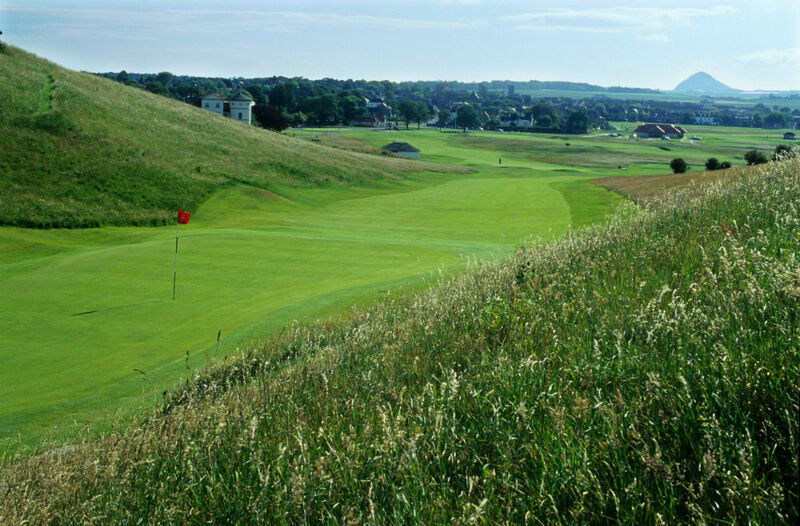 Gullane 1 is the jewel in the golf clubs crown and has hosted a number of Open Championship Final Qualifiers. In 2018 The Aberdeen Asset Management Scottish Open also returned for its 2nd time. A true test of links golf on a Par 71, with tough Par 4’s and some of the best selection of Par 3’s on any course. Particularly, the 2nd hole is one of the toughest Par 4’s you’ll likely play. At around 400 yds, you drive into a narrow fairway set at a slight dogleg to the left. After you have negotiated the tee shot you are left with a long iron or fairway wood usually into the prevailing wind to a deep/ narrow green. An exceptional golf hole to set you on your way round an equally exceptional golf course. Kilspindie Golf Club lies on the nature reserve of Aberlady Bay between Craigielaw Golf Club and the Firth of Forth. 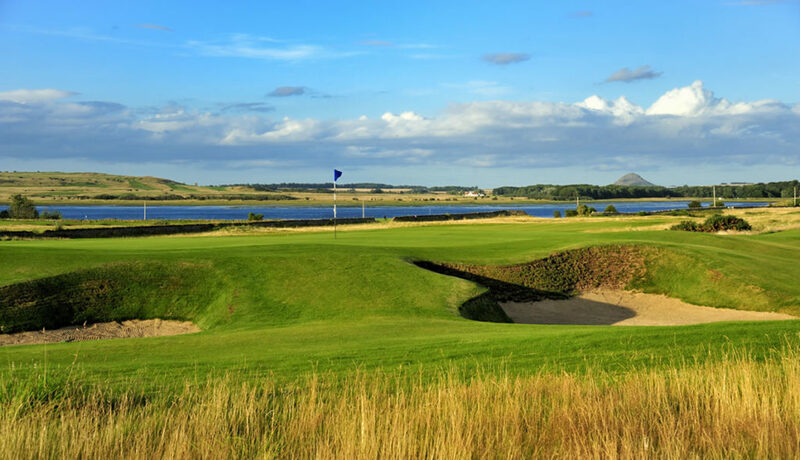 Classed as one of Scotland’s hidden gems, this short, quirky course is protected by narrow defined fairways, pot bunkers and deceptive greens that can catch even the best ball strikers out. The opening couple of holes are very unique in that the 1st is a 167 yrd par 3 that plays towards the north. The 2nd is a par 5 that plays due west and into a prevailing wind can be unreachable in two. 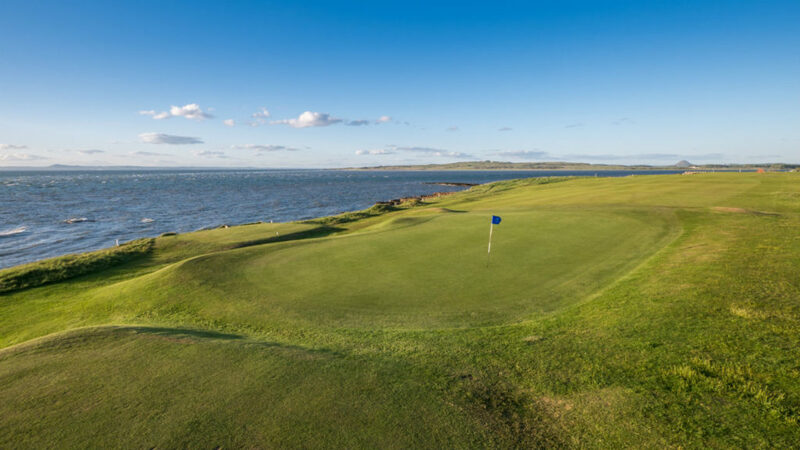 During a round you may witness some of the Scottish wildlife including sea-birds, migratory geese, and seals sunning on the sand. In the distance, you can also see the profile of Edinburgh, its Castle, and Arthur’s Seat. Kilspindie is a real joy to play for any golfer. Muirfield has cemented itself as one of the best courses in the world, consistently in the top 10 of most golf publications rankings. Having hosted the Open Championship 16 times in its history dating back to 1862, some see it as the ultimate test of golf due to the layout and challenges awaiting you on every hole. During visitor days the 18 hole layout is played over 3 teeing grounds. On some holes you may find yourself hitting from the Gents or Ladies tees. Whereas on others you may find yourself at the competition tees. The rest of your time you’ll find yourself staring down a fairway or green from the Championship tees. Muirfield is available to play for visitors every Tuesday and Thursday. A handicap of 18 is required and it is advisable to try and book 18 months or so in advance. 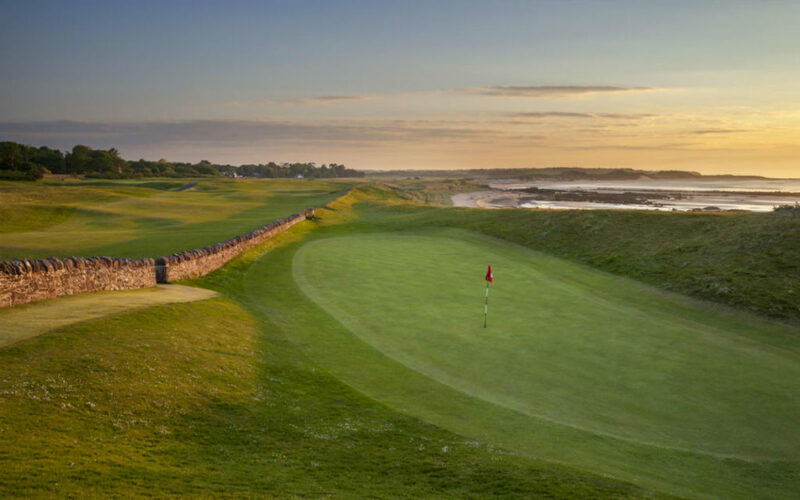 North Berwick West Links sits a few miles along Scotland’s golf coast from its neighbouring Muirfield and Gullane. This busy little seaside town has some fantastic beaches and a spectacular golf course. 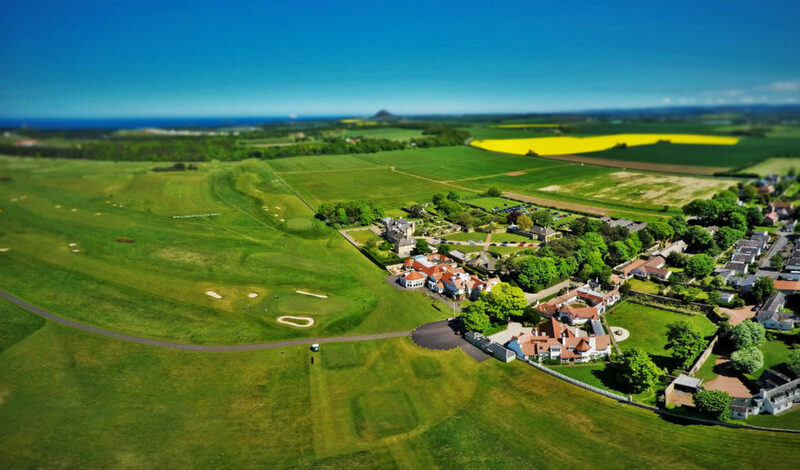 Set along the coastline, the course boasts some fantastic views of the Firth of Forth and Bass Rock. The West Links has held many prestigious events from National Championships to Open Qualifying, when The Open Championship is held at Muirfield. Sitting at just over 6000 yds this Par 71 is not for the faint hearted. Specifically, the links has strong Par 3’s and some quirky ‘thinking man’s’ golf holes. Most notably hole 13 ‘The Pit’ which requires you to place your tee shot in order for you to have the correct angle to hit your next shot over a wall guarding the narrow green…….the wall has been there longer than the links itself. 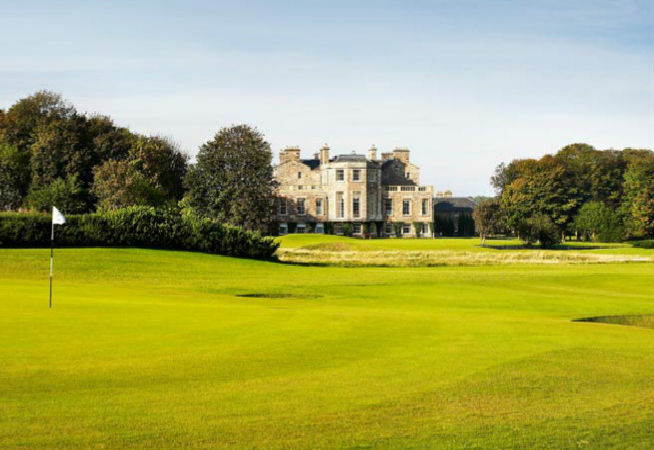 If you like the look of these courses and would like to experience golf in East Lothian we recommend our Golf Coast Swing Tour, and Exclusive Use Golf Tour Package, Edgehill House. Alternatively, please let us know if you wish to play any of the courses above and we will include them within your customised golf tour.